Akit's Complaint Department: Why are we Ignoring the Alleged SF Mayor Elections Fraud? 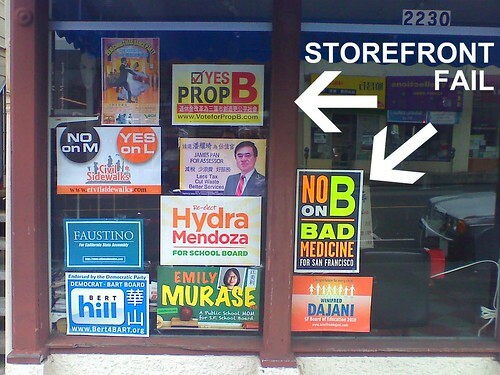 Why are we Ignoring the Alleged SF Mayor Elections Fraud? What ever happened to the alleged voter fraud? You've seen the video, you've read it on news sources like SFGate/Chronicle, Huffington Post, and SFist; and a lot of you were angry. Here's the whole story: On Friday, October 21st, an "independent expenditure committee" that is supporting Ed Lee for Mayor, decided to set-up a makeshift area in the heart of Chinatown on Stockton Street. Video footage from SFGate and a detailed report from the Bay Citizen claims these volunteers shows the volunteers assisting the citizens fill out their ballots. The committee claims they did not do anything illegal, while outside observers claims when the local press was watching what they were doing, the volunteers hid the ballots (hinting that a possible crime may be in progress), and a person claimed the volunteers was filling out the ballots for the citizens. Another accusation was the completed and sealed absentee ballots was "then collected the marked ballots in plastic bags" (SF Appeal, October 24th). I'm deeply concerned and I think the people of this fine city should know, what, if anything has our local, state, or federal government has done to investigate this alleged voter fraud? And why wasn't this fully investigated PRIOR to election day? Having someone else (other than the registered voter), fill out the ballot without the voter explicitly saying what they want to vote for. Assisting someone to fill out a ballot when the voter says what they want to vote for and the voter verifies the ballot is totally legal; having someone vote for you (e.g. voting twice in one election) is illegal. Collecting absentee ballots in an improper manner. The envelope clearly states that only the voter or a member of the household can collect the ballot, and can mail it (prior to election day) or hand deliver it to a polling place. If the allegations are true, the independent committee should have never collected completed and sealed absentee ballots as they are not members of the voter's household. Even though I dislike Ed Lee as he was a replacement for Newsom (whom I also dislike), I need to make myself clear: Since this "independent expenditure committee" is not related to the [real] Ed Lee for Mayor campaign, I'm not painting a target on Ed Lee; only the fools stupid enough to pull such a stunt in public and in the middle of Chinatown. Based on the number of votes for Ed Lee after the instant run-off process, voiding the ballots of the alleged ballot violations would unlikely change anything, but that still doesn't ignore the fact that a possible crime may have been committed. If the government ignores election fraud allegations, it violates the integrity of the elections process because you let people slide away and possibly let it happen again in the future. Enforcement should be tough because voting is the only way any citizen, rich or poor, can change the way our city, state, and nation operates with a simple stroke of a pen. The integrity is what gains the trust of the people. The California Lottery does random stings to see if their retailers are trustworthy because if you didn't know you had a winning $1,000 ticket and the retailer says you didn't in the name of greed, would you trust the state lottery when you found out the retailer was eventually arrested for grand theft? The same goes with elections fraud: if people are breaking the rules, people won't trust voting; that's one of our most sacred rights in our Constitution today. When I read the news stories from various news sources, I felt the allegations was extremely troubling. My comments on SFGate and SFist was very clear: regardless if it is declared legal or illegal of what the committee did, it was purely immoral and unethical. If someone is out on the streets to help people fill in their ballots in a legal manner, it shouldn't be a volunteer that is supporting a specific candidate or pro/negative proposition, it should be someone NEUTRAL. I've made my point. People of San Francisco, it's time to speak up and demand your government for answers on the alleged voter fraud.